A big share of foreign fighters left from the Spanish enclave Ceuta on African soil – what made this place so vulnerable for radicalisation besides the recent decrease? 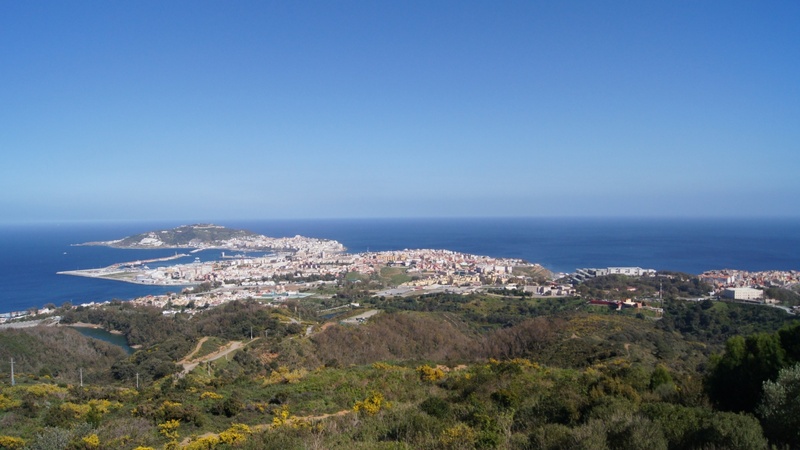 The population in Ceuta is divided in two big groups in almost equal numbers – Christians and Muslims live together in peace and co-existence. A majority of the more than 80.000 inhabitants of the city have no radical background – but what is also true is that the highest percentage of the Spanish foreign fighters left from the autonomous city. Between 2011 and 2015 there have been 75 arrests in Spain with 40 percent of detainees being from Ceuta. While the press officer of the city government declined an interview with the argument that to his opinion, there are no radicals in Ceuta, official numbers prove him wrong. “You can say whatever you want, but the reality and statistics are what they are,” Mariam says. “There have been young people that travelled to zones of conflict.” She speaks about a young Muslim girl called Asia that left to go to Syria and is now in jail in Spain – while her grandmother is living in Ceuta with Asia’s two little children. What has happened? According to sociologist Carlos Rontomé from the University of Ceuta, one of the variables that favour radicalisation is the socioeconomic exclusion. While only 15 percent of the Christian population are affected by poverty and social exclusion, the number of Muslims affected is unequally higher with 65 percent. Apart from the fact that today the Ceutí Muslims on paper have the same opportunities and rights as the rest of the population, the geographical location makes the radicalisation threat visible: Rontomé explains that Ceuta is bordering the Moroccan triangle of radicalisation, which is formed by Tetuan, F’nidek and Tanger. Morocco has a very strict policy in terms of radicalisation. “So what do the radicals do?” asks Mariam. “They go to European cities and the closest one is Ceuta.” Moroccan cities near the border have a special agreement with Spain, they can enter the enclave without going through visa procedures. “Spain also has a problem with the Imams and preachers,” Mariam says. They have to go to other countries for their education, since Spain does not have universities for them. Since there are no other options for them, Mariam says Spain can’t control what knowledge they are bringing. Furthermore they are not paid by Spain – but by Morocco or Saudi-Arabia. “And who pays, rules,” Mariam concludes. The group of recruiters is thereby expanding the virus of victimisation to make the Muslim youth in Ceuta easier to manipulate and boosts islamophobia in the rest of the society to increase the gap between the religions, explains Mariam. “That is what started generating fear.” This fear is what gives radicalisation a space – and Ceuta is surrounded by a constant pressure. “Here is the door of Africa to Europe, we border with an African country who is demanding us,” Mariam says. “There is always fear, that part of the Muslims living here are pro-Moroccan.” That is the point where separation starts – and separation leads to lack of belonging and lack of identity, which are drivers of radicalisation according to sociologist Rontomé. Because of multiple reasons the number of foreign fighters decreased. Not only the Islamic community contributes its part, also the budgets of police and authorities were raised. Spain still finds itself on level four out of five in the terrorist alert scale, which means more budget, an increase in surveillance and protection. For Mariam the prevention work is essential – to work from bottom-up and to prevent that people like the children of the girl Asia who left for Syria will be manipulated by the same ideas. Good education to see what Ceuta exports next.